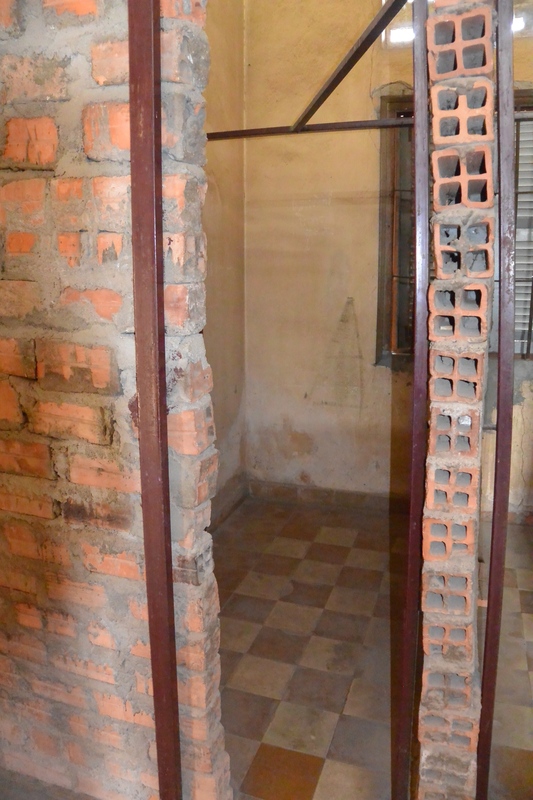 In addition to our visit to The Killing Fields, we also visited Tuol Sleng, which is a school in Phnom Penh which was turned into a prison and torture chamber during the reign of the Khmer Rouge. 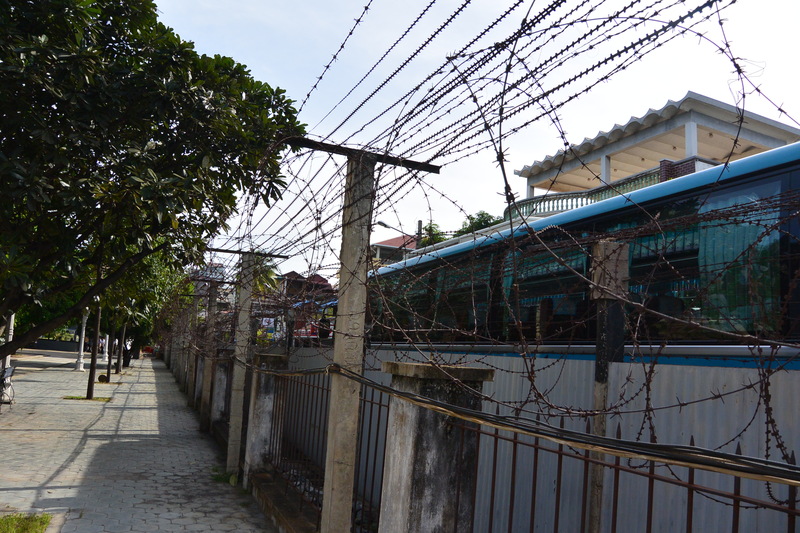 It is estimated that between twenty and thirty thousand people passed through these gates between 1975 and 1979 when the allied army finally liberated Phnom Penh. 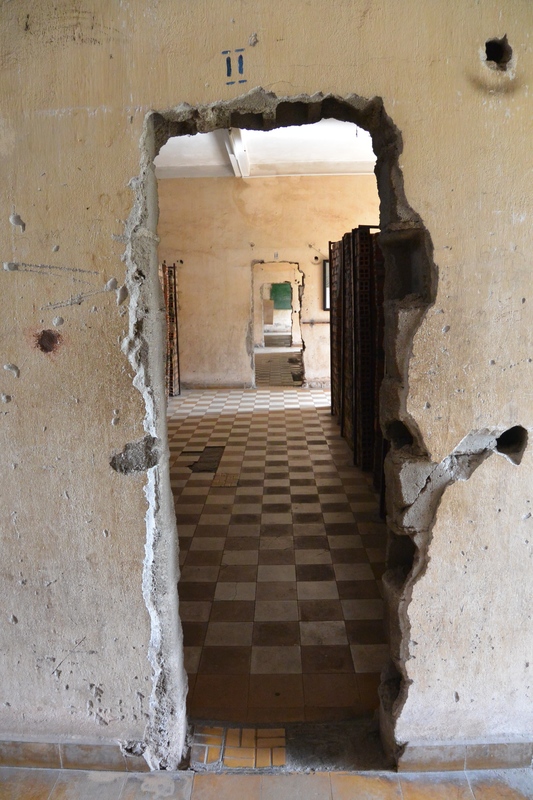 There are reports that only seven people survived captivity at Tuol Sleng or “S-21” as it was nicknamed, although there was a lot of confusion towards the end, and it’s possible as many as 150 people actually escaped Tuol Sleng. 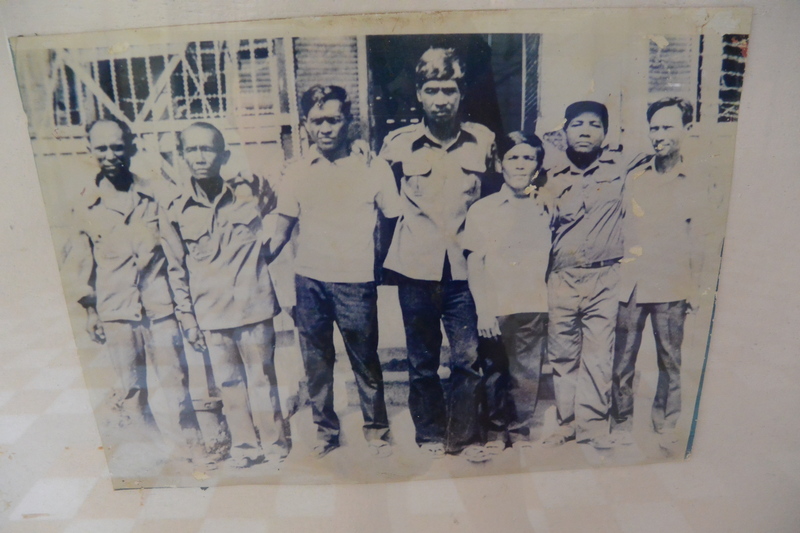 One of those seven survivors was there when we visited, so we were able to meet him, and hear a bit of his story. 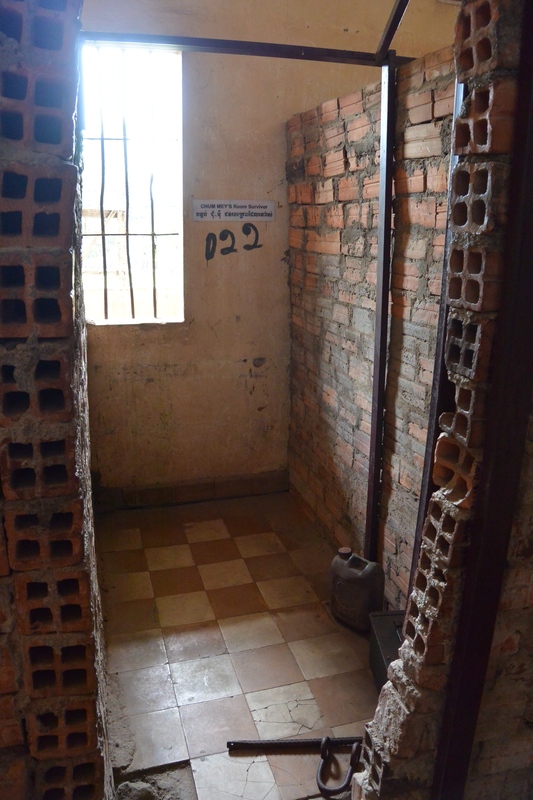 His name is Chum Mey, and there is actually a picture of his cell further down in this post. 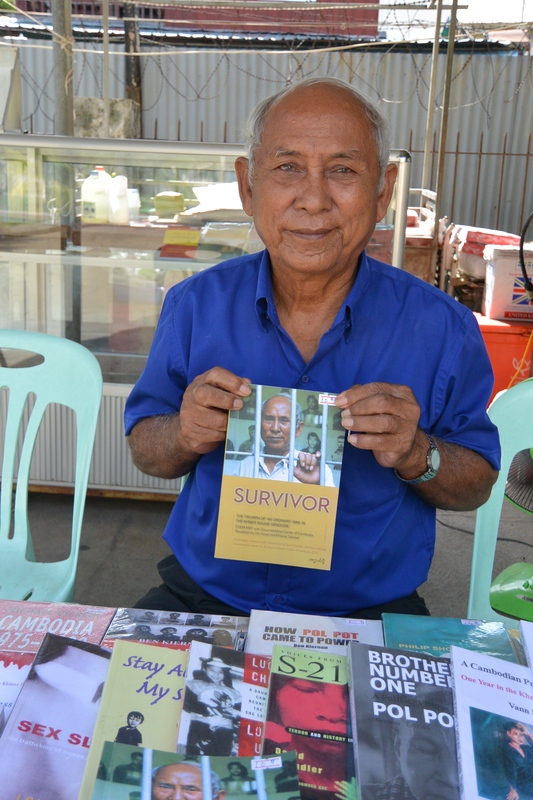 He was a prisoner at Tuol Sleng for two years, and saw his wife shot and killed in front of him during the chaos when the Khmer soldiers were fleeing Phnom Penh. 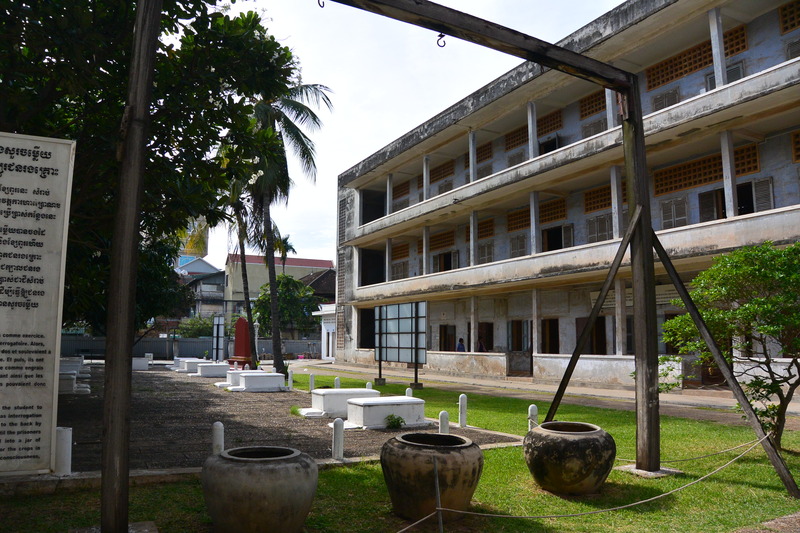 Walking around Tuol Sleng is quite eery. 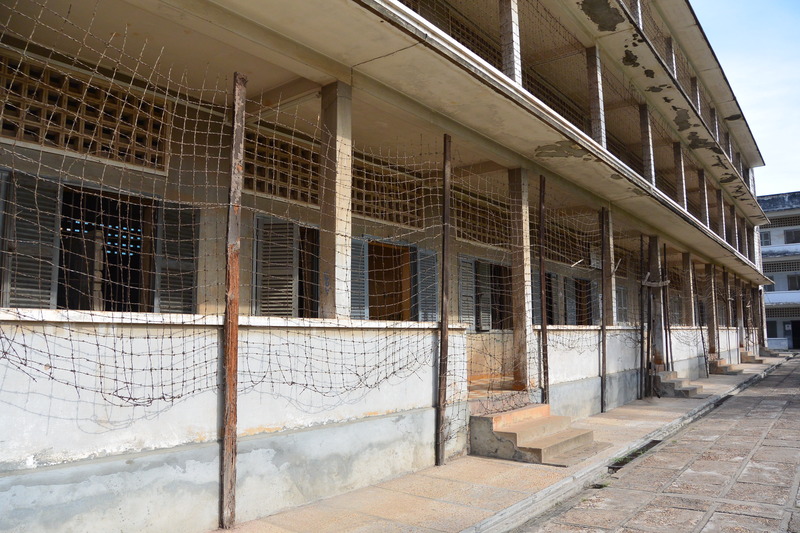 It’s very quiet, but the barbed wire is still around the perimeter of the building, and the fencing is still on the front of all of the buildings, it was used to keep prisoners from committing suicide by jumping from the balcony when they couldn’t take the torture anymore. 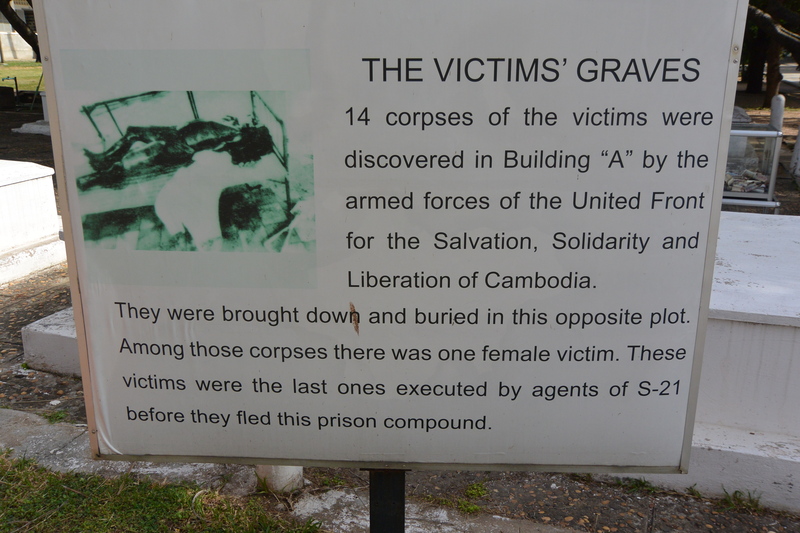 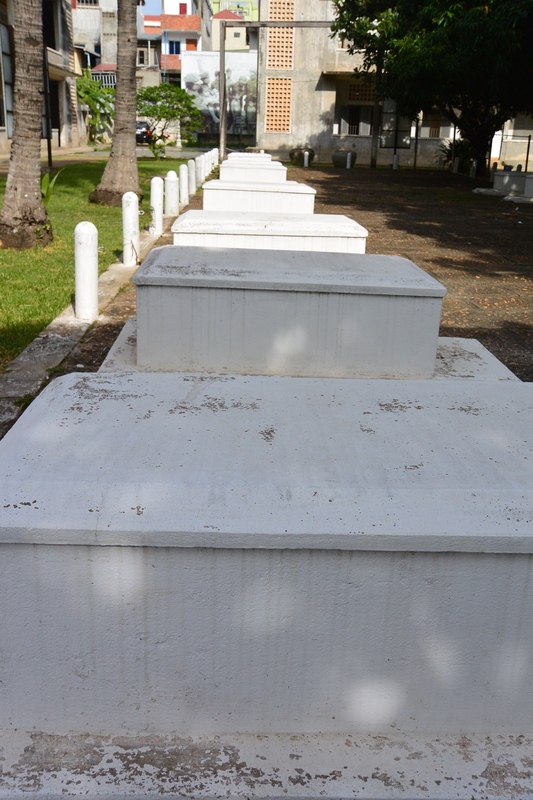 There are several graves running down the center of the first building compound. 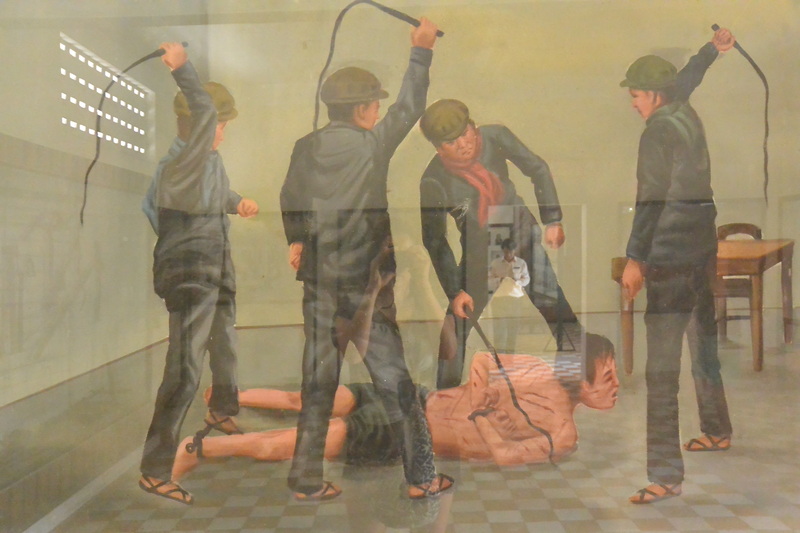 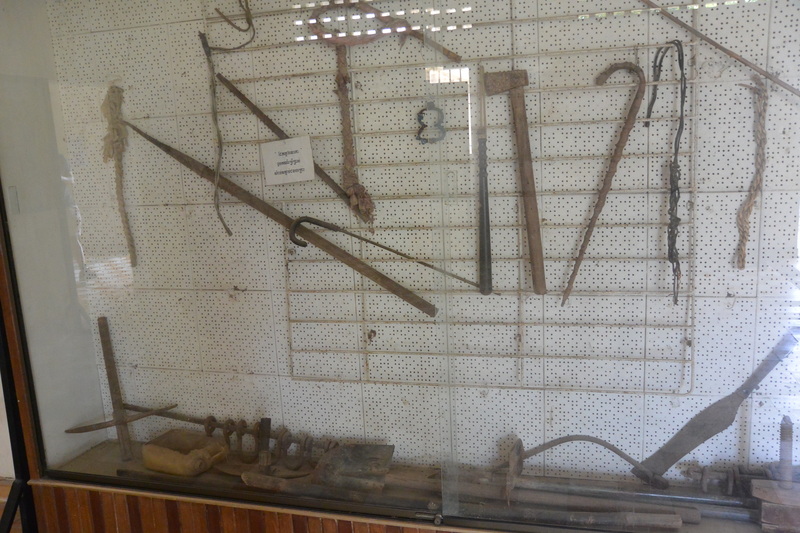 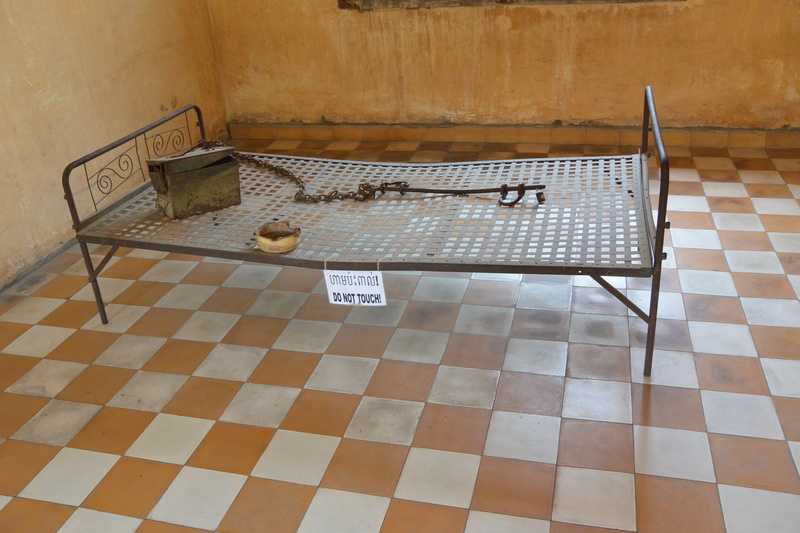 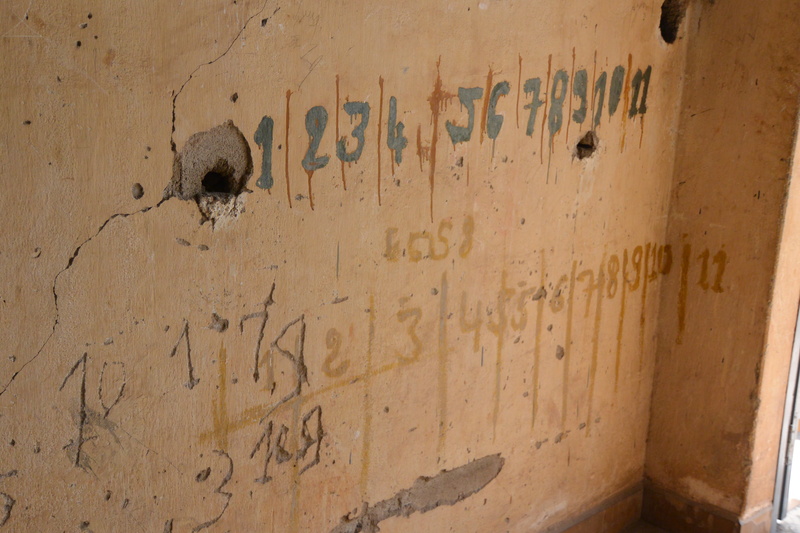 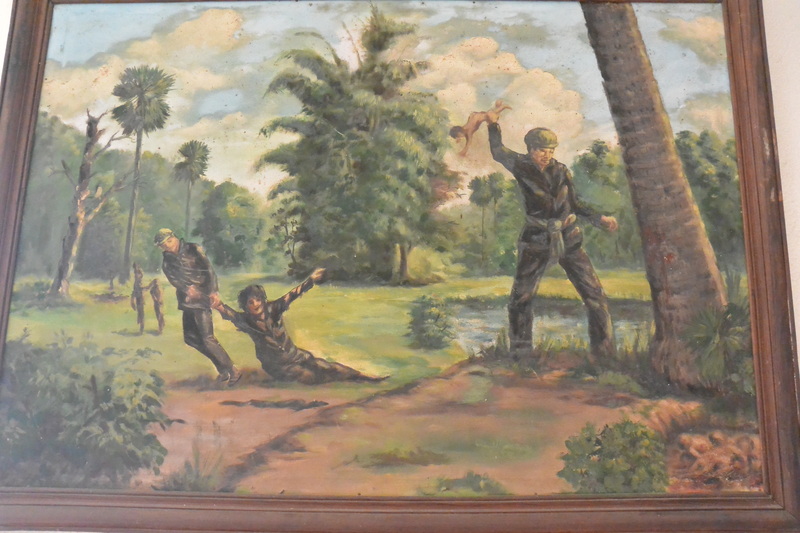 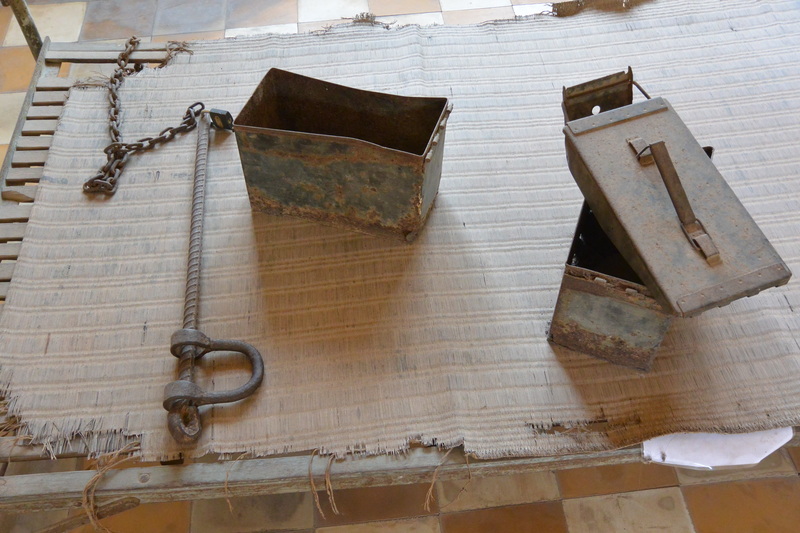 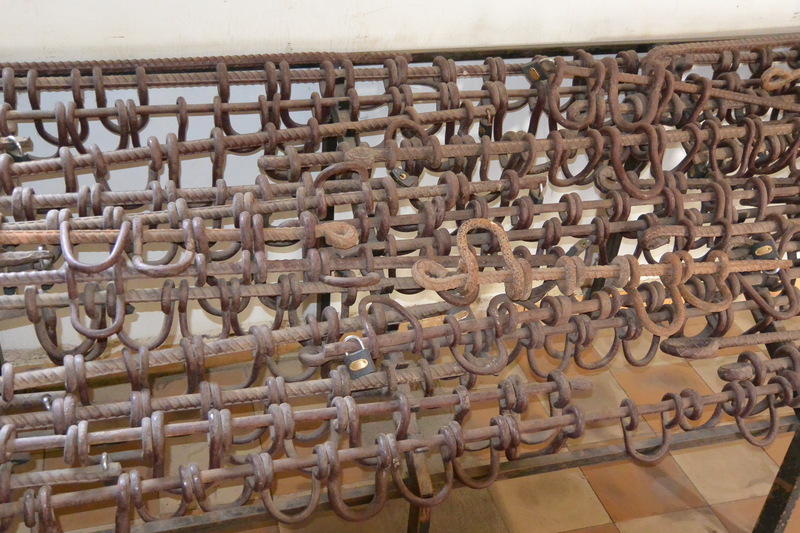 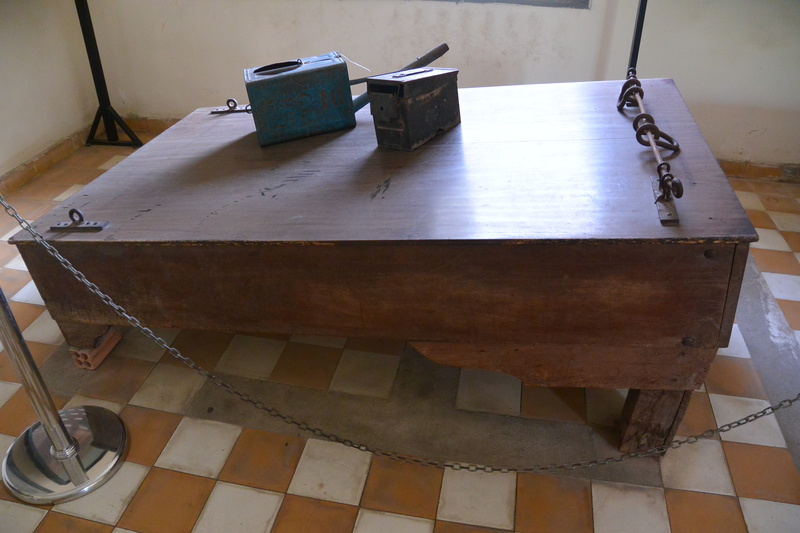 There are chains on the floors, and etchings of letters and numbers on the walls, as well as many pictures of prisoners, their personal effects, and the different torture methods that were employed by Khmer Rouge soldiers to get prisoners to confess to being part of the opposition government (whether they were or weren’t). 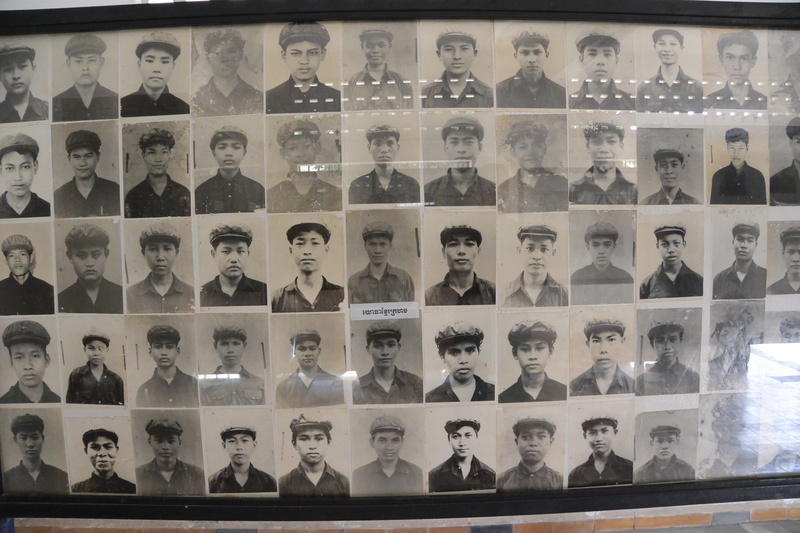 There are also personal stories from the survivors, and lots more information about the Khmer Rouge, and that time period in Cambodian history. 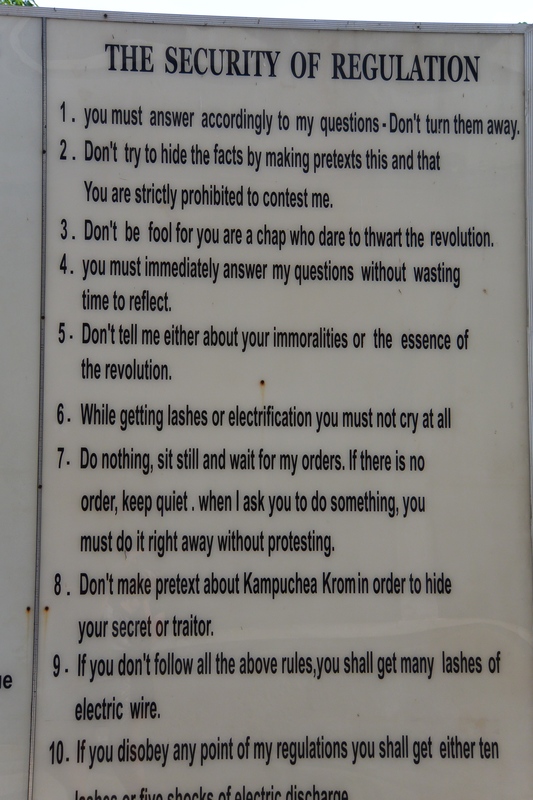 Definitely a must-visit place when you’re in Phnom Penh. 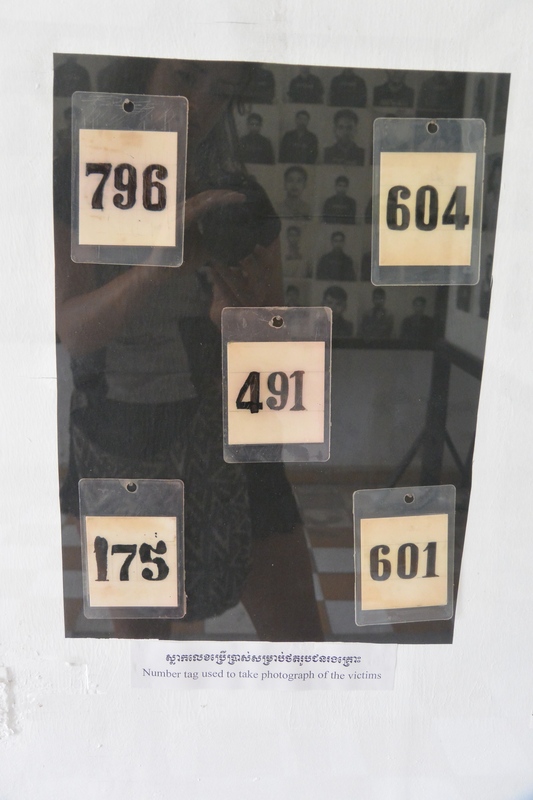 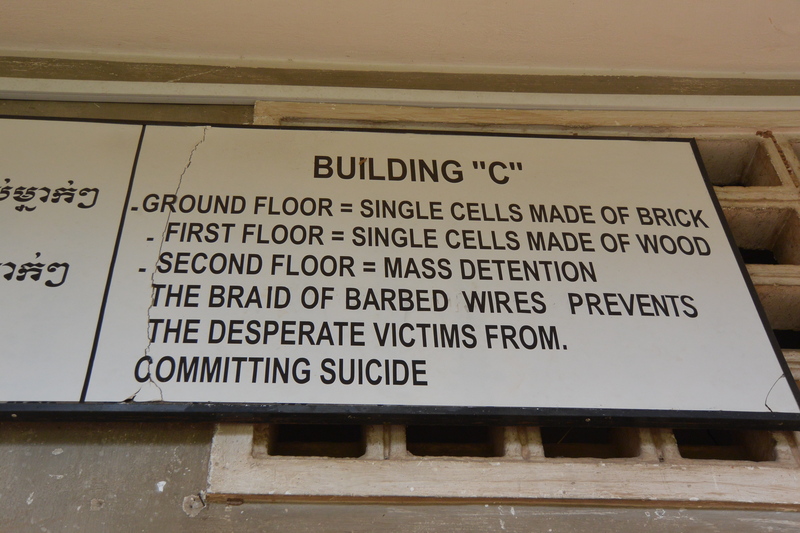 You can learn more about Tuol Sleng here.